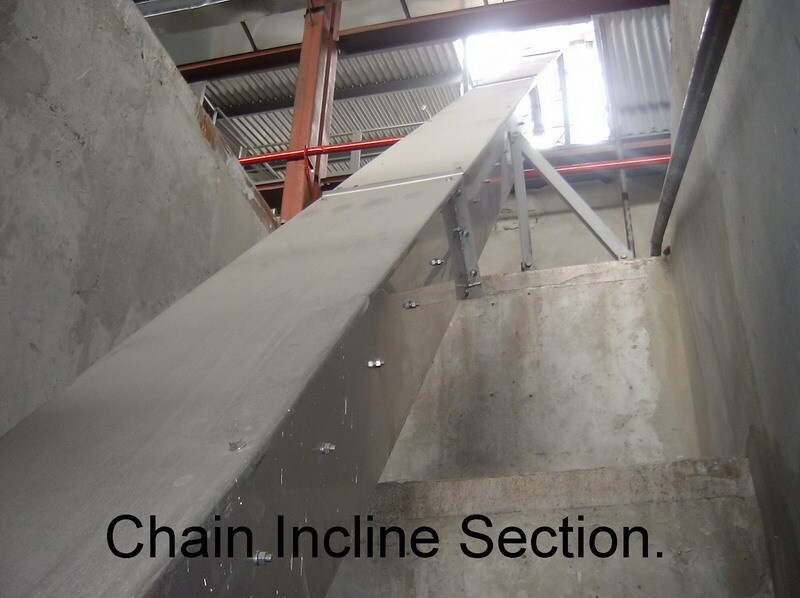 Chain conveyor to transport bulk materials. 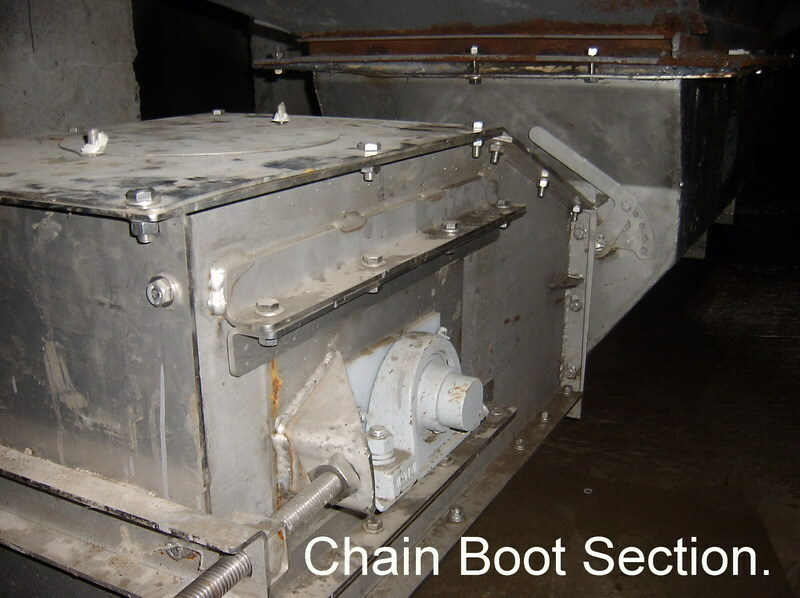 Complete closed stainless steel chain transport system. 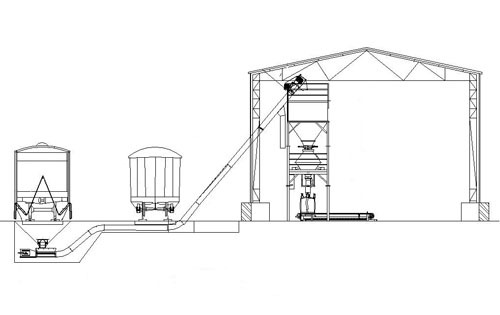 Capacity 100 ton/m³ to 180 ton/m³ per hour. Horizontal to vertical position setup in one machine. 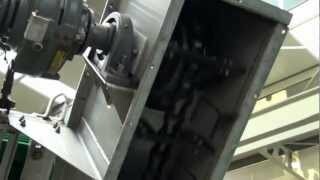 Easy to install under discharge hoppers. 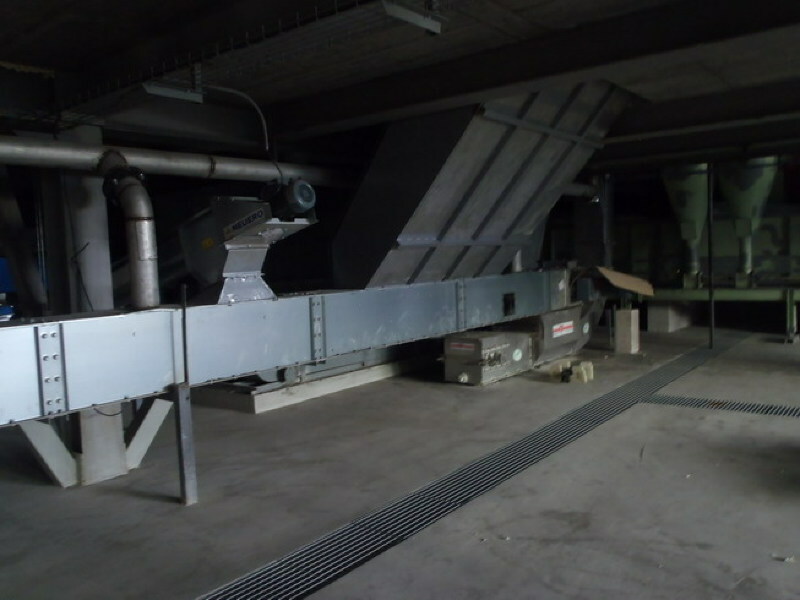 The capacity is 110 till 180 m³ ton per hour depending on the machine size. With a density of 1 ton/m³ for fertilizer. 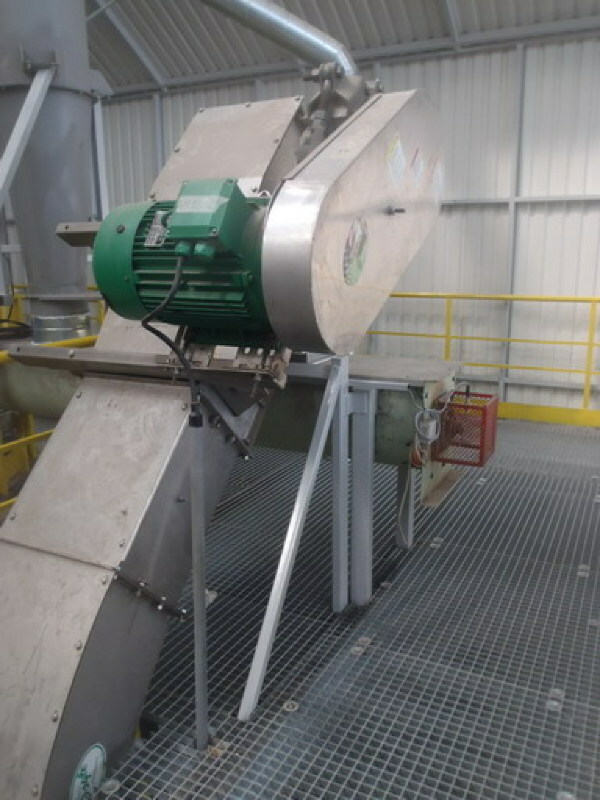 The conveyor body is made of 3,5mm thick stainless steel, type 304 and a 4,5mm thick stainless steel dividing pan. The dimensions of the body are 300 mm x 300 mm high and wide for the 110 ton per hour unit. 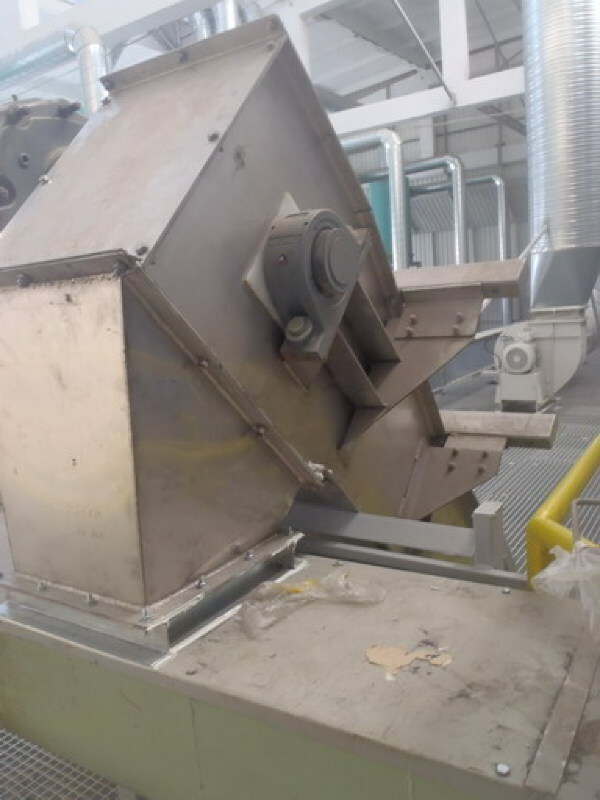 And 400 mm x 400 mm high and wide for the 180 ton per hour unit. The bottom plate and top covers are bolted to the sides of the canal and are removable.Complete with stainless steel square discharge outlet. 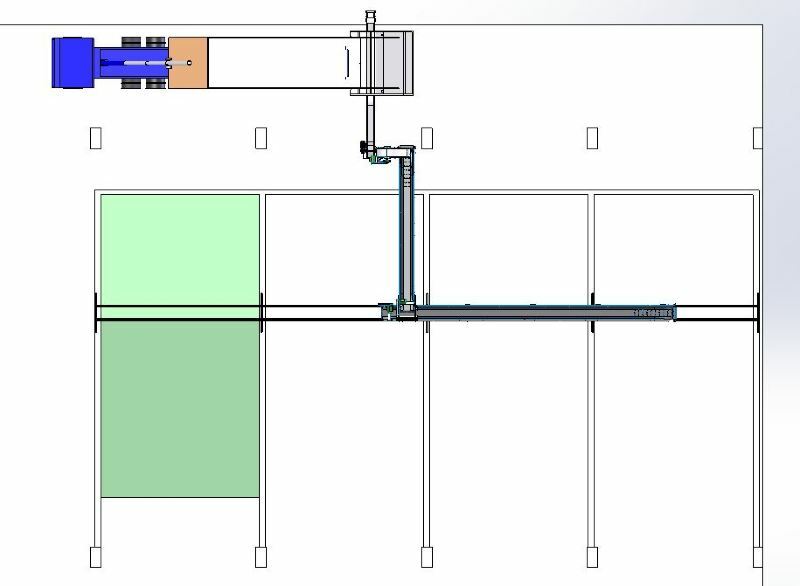 The complete system consists out of together bolted sections. 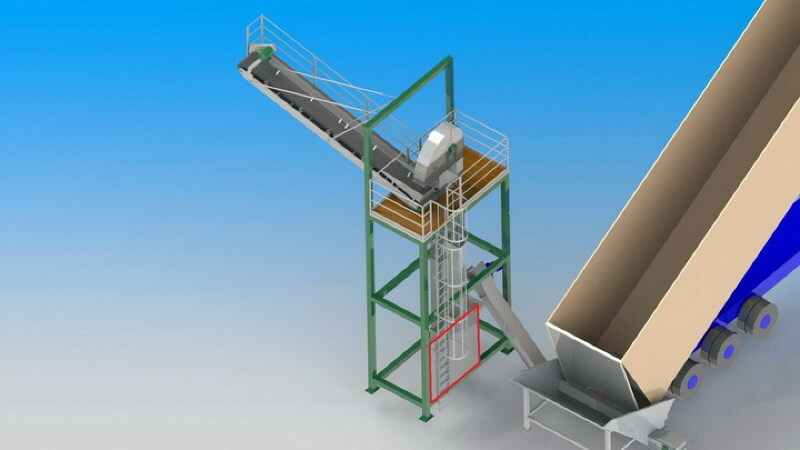 The machine can be constructed with one or more inlet hoppers. These inlet hoppers have adjustable flow control gates. 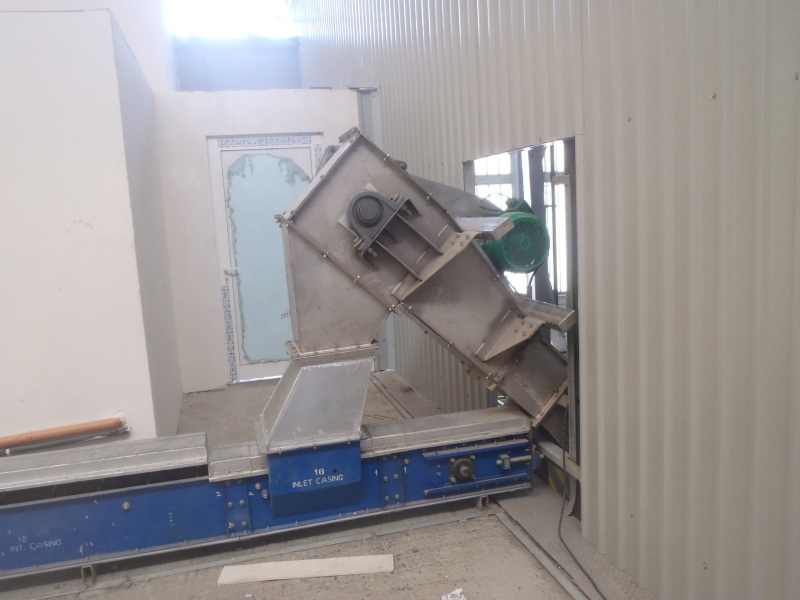 Depending on the machine length, all the sections are bolted together. 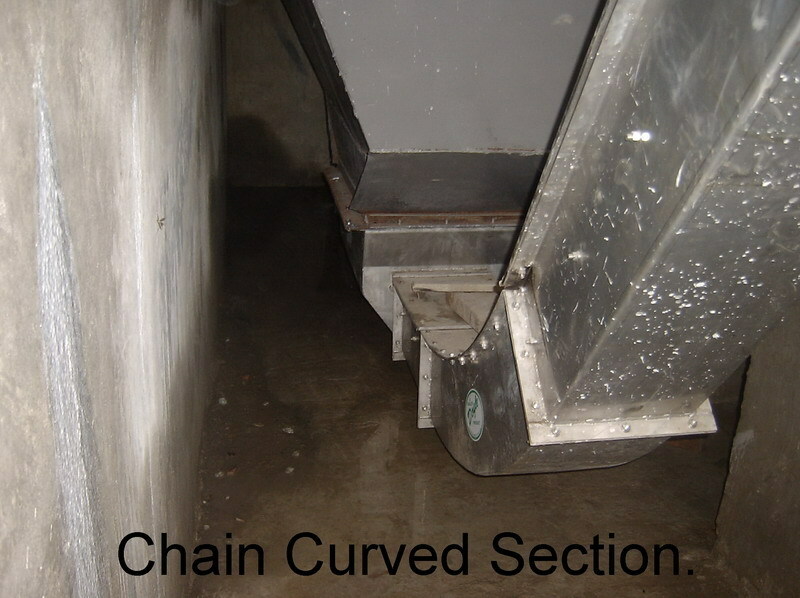 The Chain Paddle Drag Conveyor is driven by a motor with gearbox. 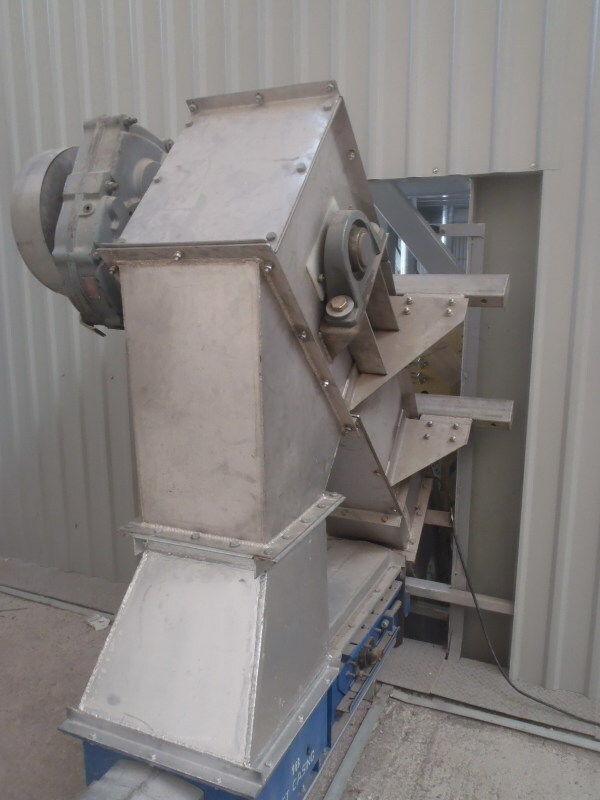 The machine can be installed under different incline angels from horizontal till 60° incline. 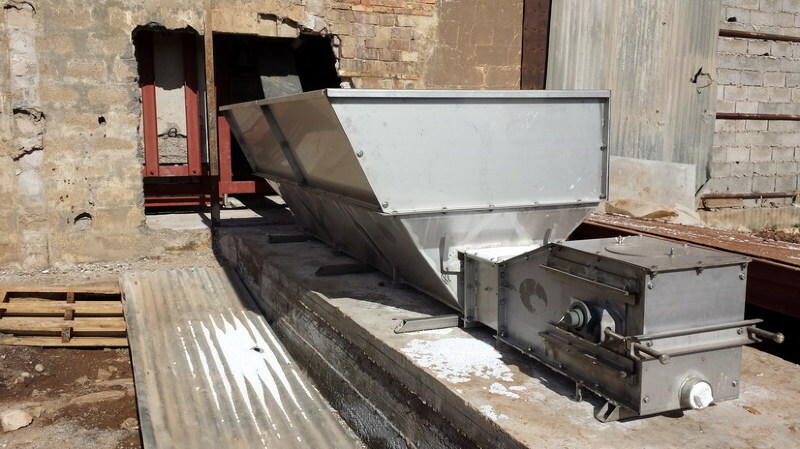 Many times the machine will be used to install in a discharge pit to empty train wagons and trailers. It is also possible to discharge on different places by installing extra discharge gates.